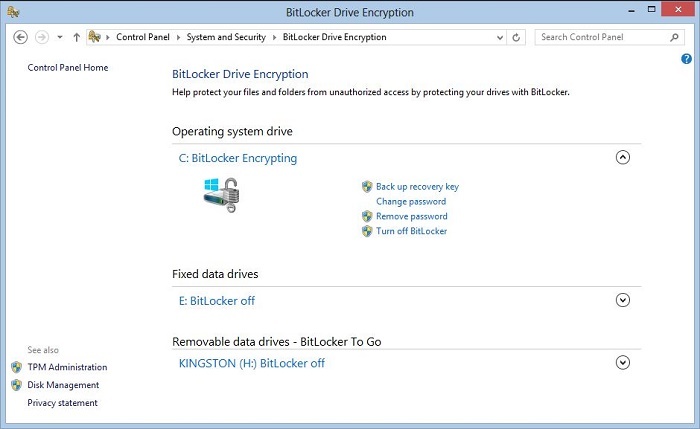 The BitLocker encryption is a vital part of the Windows operating system that is used to provide an added layer of security and encryption on a drive. Even though it is used to make an entire drive more secure it can also the data inaccessible at times. If you have encrypted your drive and can't seem to decipher it, then it can lead to data loss as well. Don't worry - you can still recover files from BitLocker encrypted drive by using a special data recovery tool. We will let you know how to recover files from BitLocker encrypted drive in this post. BitLocker is a native feature of Windows that was first introduced in Vista and became an integral part of the OS ever since. It supports a full disk encryption by implementing the AES algorithm and CBS (Cipher Block Chaining). By encrypting an entire volume of the hard drive, the data becomes extremely secure. Users would need a 128 or 256 bit key to access it. You can also encrypt your drive by visiting the Control Panel < System and Security section. Even though BitLocker has tons of advantages related to Security, it can also make your data inaccessible. If you are not able to decipher the code, then you can lose your data on the entire volume. Therefore, you would need to take the assistance of a third-party data recovery tool to recover files from BitLocker encrypted drive in this case. If your hard drive has been encrypted by BitLocker and you cannot access it, then you should take the assistance of Recoverit data recovery. It is an effective and reliable hard drive data recovery program, it can help you access to the encrypted hard drive and get your data back. 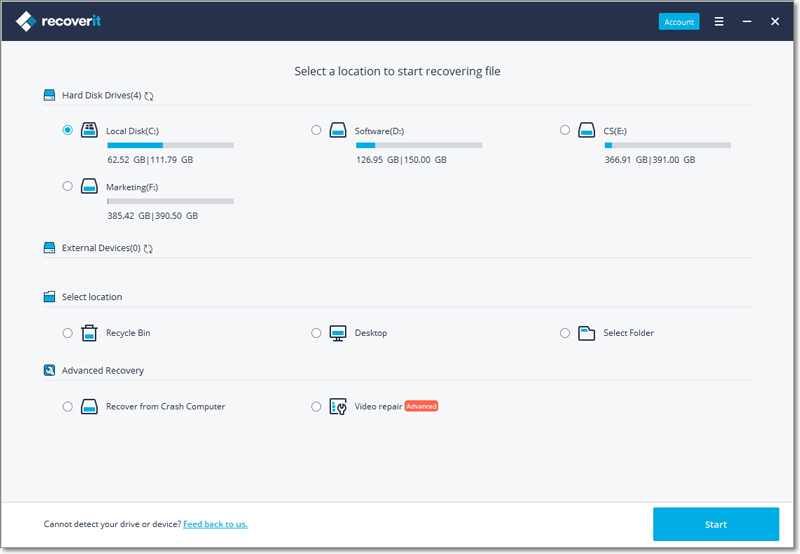 Free download and insatll Recoverit data recovery software on your computer, launch it and follow the next simple step to start recover files from BitLocker encrypted drive. 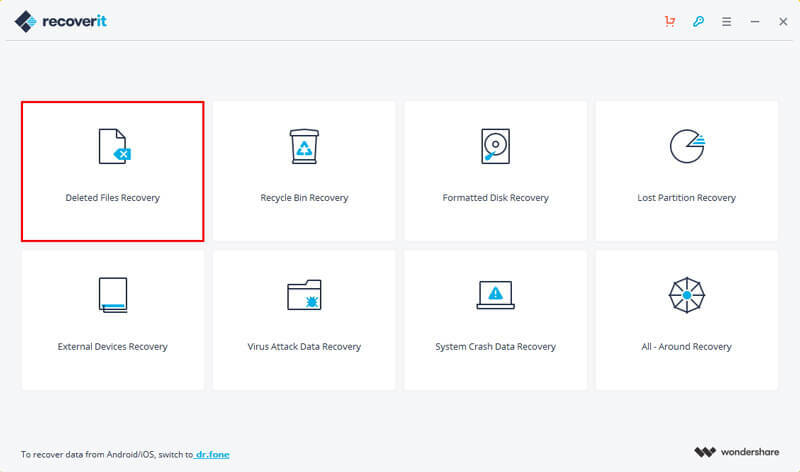 On the interface of Recoverit, you can select "Deleted Files Recovery" option to start your data recovery from BitLocker encrypted drive. Select the location when you files stored. Click "Start" button to process. This drive data recovery will start a quick scan, if it cannot find your files you can go to deep scan with "All-Around Recovery" mode which will search more files. After the deep scan, you can preview the recovered files and click "Recover" to save.